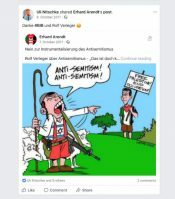 NGO Monitor has identified a number of virulently antisemitic statements made by officials of the German Society for International Cooperation (GIZ)- a German government-owned agency that implements Germany’s humanitarian and development aid around the world. 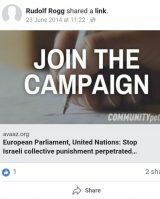 GIZ has funded Israeli and Palestinian NGOs (non-governmental organizations).These statements include comparisons between Israel and the Nazis, blaming the downfall of Arab leaders on a “Hebrew spring” and depicting Israel as a two-headed monster. 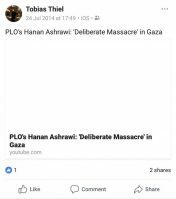 GIZ members also posted messages to Facebook that justify Palestinian rocket attacks on Israeli civilians and endorse BDS (boycotts, divestment and sanctions) efforts. Henner Kirchner is a GIZ project manager. 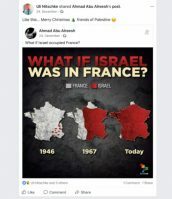 On Facebook, he advocated for charging Israeli Prime Minister Netanyahu with Holocaust denial in German court. 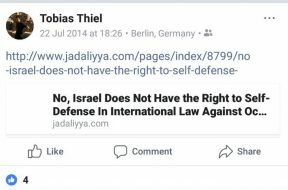 He has also defended Hamas rocket attacks against Israeli civilians and argued that Israel does not have the right to defend itself. Rudolf Rogg, has been GIZ’s country director in the West Bank and Gaza since 2009. 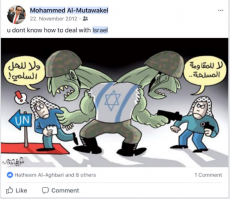 He has called on the EU and the UN to “end Israeli collective punishment”, and to claim that Hamas was not responsible for the abduction and murder of three Israeli teenagers in June 2014. Due to a severe lack of transparency, it is impossible to compile a comprehensive list of GIZ’s local NGO partners. 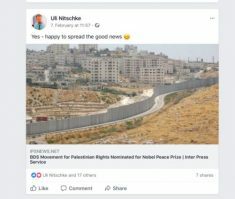 According to available information, however, GIZ’s local partners in the region have included MIFTAH, PASSIA, and the Palestinian NGO Network (PNGO). 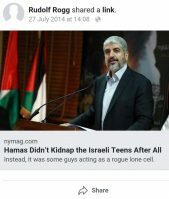 MIFTAH and PASSIA have both celebrated Palestinian terrorism targeting Israeli civilians. 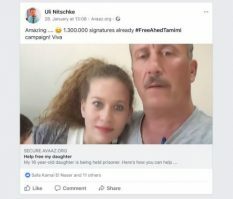 MIFTAH described Wafa Idrees, one of the first female Palestinian suicide bombers, as “the beginning of a string of Palestinian women dedicated to sacrificing their lives for the cause.” Idrees detonated herself on January 27, 2002, killing 81 year-old Pinhas Takatli and wounding another 150 Israeli civilians. In a 2015 publication PASSIA describes a wave of stabbing attacks that began in October 2015 as a “youth uprising” and refers to Baha Eleyan as a “Palestinian martyr.” Eleyan was one of two terrorists who attacked a Jerusalem bus on October 13, 2015, killing three and injuring seven. 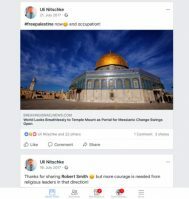 In addition to collaborating with GIZ on a project in East Jerusalem, a number of high-ranking GIZ officials – including Rudolf Rogg, Ulrich Nitschke, and Luke McBain (see above) – have regularly met with PASSIA and participated in workshops with them.